Are They About To Confiscate Money From Bank Accounts In Greece Just Like They Did In Cyprus? Do you remember what happened when Cyprus decided to defy the EU? In the end, the entire banking system of the nation collapsed and money was confiscated from private bank accounts. Well, the nation of Greece is now approaching a similar endgame. At this point, the Greek government has not received any money from the EU or the IMF since August 2014. As you can imagine, that means that Greek government accounts are just about bone dry. The new Greek government continues to insist that it will never “violate its anti-austerity mandate”, but the screws are tightening. Right now the unemployment rate in Greece is over 25 percent and the banking system is on the verge of collapse. It isn’t going to take much to set off a panic, and when it does happen there are already rumors that the EU plans to confiscate money from private bank accounts just like they did in Cyprus. Athens barely made its latest payment (May 12) to the International Monetary Fund (IMF), and it managed to do so only when the government discovered that it could use a reserve account it wasn’t aware of, according to the Greek media. Kathimerini, a Greek daily newspaper, reports that Prime Minister Alexis Tsipras wrote to the IMF’s Christine Lagarde warning that Greece would not be able to make that May payment, worth €762 million ($871 million, £554.2 million). Pension and civil-servant pay packets are due at the end of the month, and based on this news Athens may struggle to pay them. Even if it does manage that, on June 5 the country owes another €305 million to the IMF. In the two weeks following June 5 there are another three payments, bringing the June total to the IMF to over €1.5 billion. The Germans and the other financial hawks in the EU are counting on these looming payment deadlines to force Greece into a deal. Greek banks are running short on the collateral they need to stay alive, a crisis that could help force Prime Minister Alexis Tsipras’s hand after weeks of brinkmanship with creditors. As deposits flee the financial system, lenders use collateral parked at the Greek central bank to tap more and more emergency liquidity every week. In a worst-case scenario, that lifeline will be maxed out within three weeks, pushing banks toward insolvency, some economists say. If no agreement is reached, by this time next month Greece could be plunging into a Cyprus-style crisis or worse. The ECB is up to its eyeballs swimming in unpayable Greek debt that it holds. The ECB is not going to take a loss on this Greek paper on its books. Because Greece does not have the financial capacity to repay what is now about €112 billion of credit exposure to Greece on the ECB’s books, the ECB has only two alternatives. It can push the €112 billion of Greek debt it holds to the national central banks of the Eurozone and on to the backs of the taxpayers in those countries, which it politically untenable. Or it can confiscate depositor money in Greek banks, like it did in Cyprus and as the FT has now reported. Needless to say, such a move would be likely to set off financial panic all over Europe. Could we actually see such a thing? Running out of other options, Greek Prime Minister Alexis Tsipras ordered local governments and central government entities to move their cash balances to the central bank for investment in short-term state debt. 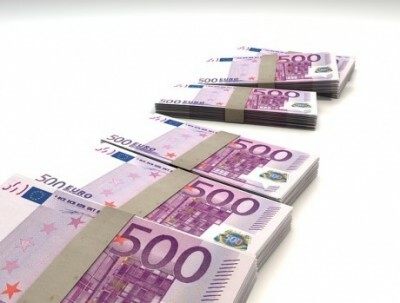 The decree to confiscate reserves held in commercial banks and transfer them to the Bank of Greece could raise as much as 2 billion euros ($2.15 billion), according to two people familiar with the decision. The money is needed to pay salaries and pensions at the end of the month, the people said. Grabbing cash from the bank accounts of private citizens is just one step farther. What little trust remained in banks in Greece died that day. People have been nervously looking for signs something similar may happen again in their home country. And they resolved to act at the first sign of danger: banks cannot confiscate money you have under your mattress. Cash can be hidden away. Let’s certainly hope that what happened in Cyprus does not happen in Greece. But right now, both sides are counting on the other side to fold. The Germans believe that at some point the economic and financial pain will become so immense that it will force the new Greek government to give in to their demands. The Greeks believe that the threat of a full blown European financial crisis will cause the Germans to back down at the last moment. So what if they are both wrong? What if both sides are fully prepared to stand their ground and take us over the cliff and into disaster? For a long time I have been warning that a great financial crisis is coming to Europe. This could be the spark that sets it off.